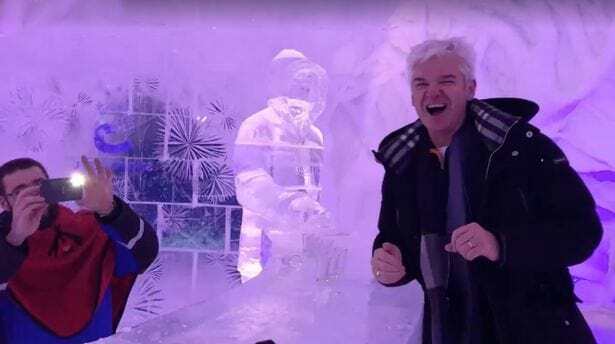 Phillip Schofield loves a good time doesn’t he and clearly can drink us all under the table after completing the ‘ten shot challenge’ on holiday. 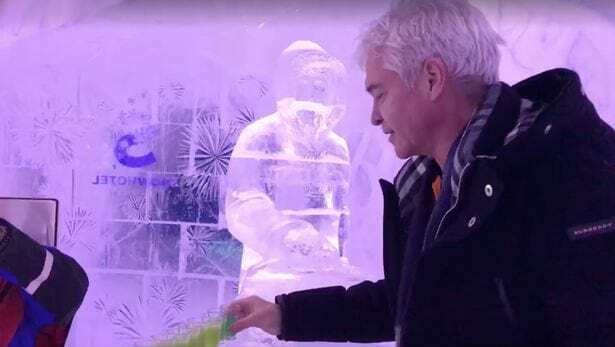 The silver fox is currently staying at the Kirkenes Snowhotel while on holiday in Norway, when he was presented with the drinking challenge last night. Not one to let a chance to get slaughtered pass him up, the dad-of-TV lined up the shots on the counter and proceeded to down the mysterious green liquid, one after the other. 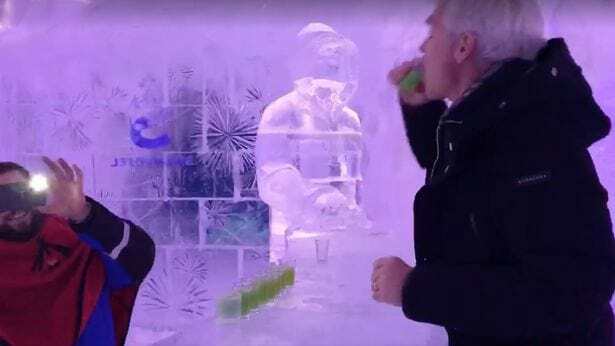 His mate films his antics and as he slammed down the last glass, in true Schofield style, he turned to the camera and said ‘NICE’ before comically pretending to pass out. The This Morning presenter posted the hilarious video on Facebook, only for it to gather 65k likes for his courageous behaviour. I was the only one to accept the 10 shot challenge. The ITV presenter’s fans flocked to salute him and offer their words of praise for his impressive achievement. My life ambition is to be as great as Phillip. He is awesome, knows how to have a laugh and not take himself to serious love him!!! 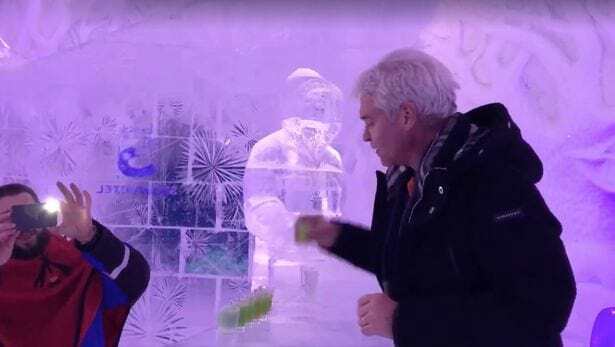 When Phillip Schofield’s shot game is stronger than yours.